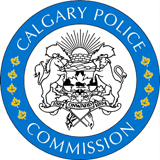 Calgary Crime Statistics - How Can this Data Help YOU? Calgary crime statistics have shown some reduction in crime in recent years. The beltline and the core have seen extra police effort reduce criminal activity, which makes running a business that much easier. Empty lots seem to attract rampant drugs, alcohol and the people that go along with those things. Extra officers go through this area now that there is a small police office in Victoria Park. It's encouraging. Have a look at the index of city crime rates on the Calgary real estate page. It also has some crime mapping Calgary citizens might find useful.Even though Downtown and the Beltline have the highest counts for assults, robberies and vehicle thefts, the numbers are trending downwards. Half in some cases, as shown by Calgary crime statistics. Home invasions were not as high in the central areas; Marborough and Crescent Heights had the top spots for this category. All in all, the inner city neighborhood crime rates have seen improvement and we hope it's long-term. People in this area are getting more specific in their quest for a solution to crime. Maybe this is why crime has trended downward throughout the city. 8% down for property crimes (theft etc. ), 1.7% down for murders and robberies - it may be at least partly attibuted to the 64 additional police officers in high crime areas, and this means the areas have better coverage through the night as well. The police might be able to take credit for these results because of the their improved analytical work in crime in addition to on-site monitoring. They examine trends to see where things are going better and use this data to make improvements all around. Nice new condo towers and upscale retailers may also help reduce crime here by replacing bar-strips and such. With the quickly increasing population Calgary has experienced in the last decade, problems were bound to crop up, and the authorities found it was best to nip them at the bud while they can. As a result, people feel safer walking outdoors now. This boosts the success of sports events and other gatherings. Of course everyone likes to grab credit, even the politicians. Especially the politicians. They fulfilled their promises, or so they claim. And their efforts have probably also been a contributor in this synergestic change. However, politicians can try to use this success with regard to Calgary crime statistics to justify keeping spending levels as they are, or even increasing them. Maybe. The redesign of several LRT stations also helped somewhat. In this case, they were built so people cannot hide as easily. One potential problem has been identified. Maybe the crime is just relocated. Some of the near-inner city neighbourhoods have seen a rise in their Calgary crime statistics over the same period. But maybe not, they're still trying to figure that one out. Go back from Calgary Crime Statistics to the Calgary Real Estate web page or visit the Calgary City Maps homepage.